Ladies and Gentleman, it's Pyrrhichios number fiv... no, wait... *cough* Dear fans! We would like to announce our great 2018 "Mostly September" Europa Barbarorum 2 Screenshot contest. So warm up your PC's and start taking pic's like Madman. 1. As usual, only one entry per person. 2. Cropping of images to remove the UI is allowed, however any fans who submit images which have been subject to manipulation other than cropping or the EBII graphic enhancement patch, will be disqualified. 3. All players wishing to take part must have posted their entry in this thread before September 30th. Any entries after this will not be considered. 4. The winner will be decided by a popular vote from other fans. A thread will be created to vote in, with the opportunity to cast your vote within ten days of the competition closing (voting closes September 30th). All votes will remain private until the winner is announced. The winner gets unending Kudos, the title of dictator perpetuo and everyone who meets the winner in reallife must bow before your incredible might... ok, thats maybe a bit too much, you'll actually get an awesome signature banner designed by our Master Picturesmith and world champion in Menhir-throwing (true story), Brennus. So good luck, we look forward seeing you entries! That is cool, I hope there will be plenty of participants ! But what is the "EBII graphic enhancement patch" you mentioned ? Is it Reshade ? print screen doesnt works for me, so i use fraps. Just google for it, very small program. Print screen should work for everybody, it is the keybinding by default to take screenshots ( unless you have changed the key to take screenshots in the key binding config of course...., you could do that in EBII main menu---> options--->keyboard settings---> misc), the issue is that it doesnt take a .jpg but a .tga screenshot ( umhh i dont know if you can config MTW to take .jpg directly). So when you press print screen, well.. you.. or at least i, see screen become black for an instant and come back to normal. 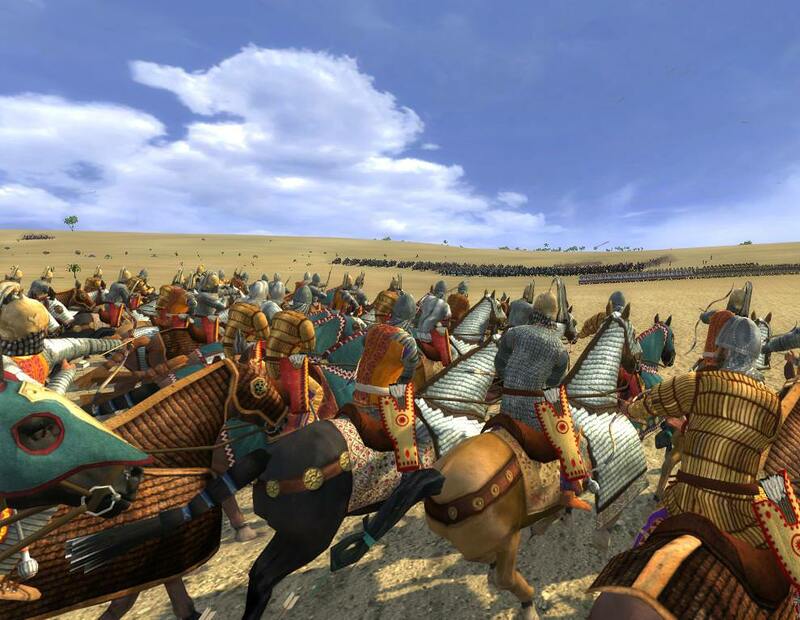 That is a screenshot taken in .tga format and stored in ...\Medieval II Total War\tgas, i think even screenshots taken with a mod running store there too. Then "all you need" is go to that directory and either play with the .tga or convert them to .jpg , thing that i do with a free program called irfanview, but i guess any program you know able to convert .tga--->.jpg would do. Last edited by melvidh; September 02, 2018 at 02:16 AM. You can also use windows snipping tool to take screenshots of just about anything. It's how I take the screenshots used to make our unit cards, for example. Works fine in borderless_windowed mode. Not a worthy winner, but, thought I'd start us off. I don't know who's doing their lawns, but I want to hire that guy! Last edited by demagogos nicator; September 28, 2018 at 05:11 PM. Last edited by Wulfburk; September 29, 2018 at 03:56 PM. 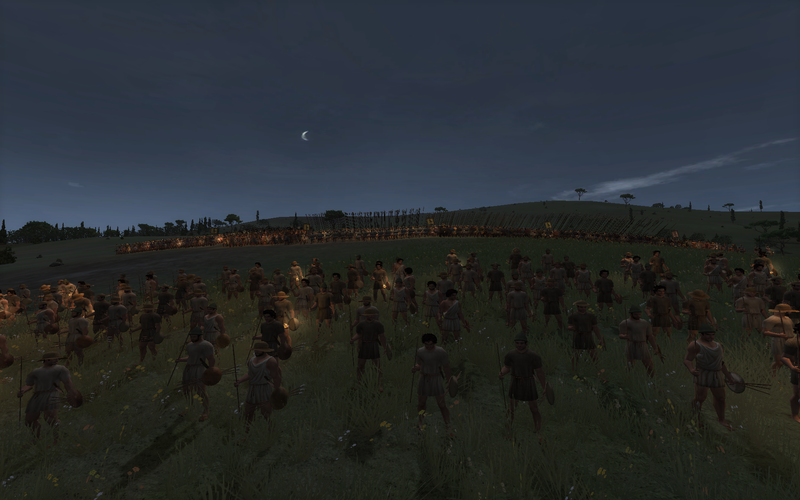 Title: The sun rises as the Romans prepare for battle! Last edited by Lusitanio; September 29, 2018 at 04:45 PM.